Looking for a Holiday Computer? OK, sometimes you get tired of doing or buying what you NEED, what you should buy or what you have to buy. Sometimes you get to buy what you Want To Buy! In that category, let's put useful Computer Toys. Oh, I don't mean kid's toys, but something like the latest iPhone, or Android 4G phone, or iPad. Maybe a top of the line computer with MORE hard disk space, CPU horsepower and memory than you need, that will not only do the job you need done, but obliterate it, that is, do it so fast and so well, that it's a pleasure. Holiday Toys. 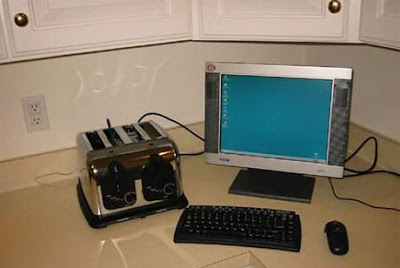 Computers, Monitors and Printers for 2nd Decade of the 3rd Millenium CE. So I have 7 computer related suggestions, for things I like very much, which are still useful and sensible, but which represent the best of their type and should bring a lot of pleasure in use for a long time. They are 2 Desktop Computers, 1 Laptop, 2 monitors, and 2 Photo Printers. Both of the Computers I like use the new AMD 6 core processor, which, while not a powerful as Intel's 6 core unit, runs about $700 less, plus, these computers use related components which can be cheaper as well. They are the Dell Studio XPS 7100 and the Cyberpower AMD Hex Core Custom PC -- the Dell is configurable and offers the advantage of purchasing from a first tier maker and a 24/7 extendable warranty, -- whereas the the Cyberpower is not only configureable by can be ordered with a stable overclock for a nominal fee, which is like a free upgrade to a faster computer, and has a good warranty for up to 3 years as well but not the 24/7 support and service scheduling. As for the Dell, for most users adding the 1090T upgrade to the fastest AMD 6 core processor for $90 is worthwhile -- you can upgrade the graphics card too if you want to play video games -- as is upgrading to 8 GB of RAM for $60. You will need at least basic speakers for $20, and you can upgrade from the included 2 year on-site service to a 3 year plan for $80 which is a good idea. Total price delivered, not including tax, is $999.99. Beautiful machine, beautiful price. Over $350 off the SRP as this is written. The Cyberpower offers a huge and confusing array of options, many of which are irrelevant to most users, but quite a number of the options are VERY USEFUL indeed and make for a very powerful computer at a very good price. The set of options that I like, and which gives you a faster, more robust, and more powerful machine than the Dell, includes the top of the line AMD 1090T CPU, 16 GB of 1600 GHz memory (8 GB max is availalble with the Dell), 4 Sata 3 6 GHz 2 Terabyte drives in a RAID 10 configuration for 4 Terabytes of Stoarage and a 4 TB mirror so you are protected in case of a drive failure, and a 2 TB backup drive. Also included are the Coolermaster 690 II case, a Corsair AX 750 Pro Gold super Efficient 750 watt Power Supply, an ATI 5770 1 GB Graphics card, a BluRay Rewritable Optical Drive that plays BluRay movies, DVDs, and CDs and writes them, too, up to 25 GB per disc. This machine also includes USB 3.0. 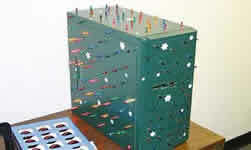 Total price $2228.00 including a 5% limited time discount. What is that you say -- the price is over 2 X that of the Dell? Yeah, and it's worth it, too. You get high quality stuff on this system that you cannot even order on any Dell. But you can reduce or change the disk configuration or any other part of this machine to suit you and your wallet. FYI USB 3 and Sata 3 are the new peripheral and disk interfaces that operate at much faster speeds than USB 2 and Sata 2, and are not available on the Dell. So you get to choose. The 24/7 support Dell warranty is very nice, and I know from experience that this Dell computer is a good one. Cyberpower is a well respected, by comparison with Dell, boutique PC maker, and nobody can guess if they will have long term staying power, but the Cyberpower machine is made of industry standard non-proprietary parts and can be serviced easily by any shop long after the 3 year warranty ends. The next Monitor I like is a 30" 2560 X 1600 Resolution device, and that's a screen like picture window. When you see a screen like that for the first time attached to a computer, you feel like you could just step into the CyberWorld. But I've talked too much for today, so I'll finish this series in a few days. May dreams of Sugar Plums and Cool Computers Dance in Your Head! 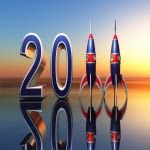 Make 2011 Go Off Like A Rocket! Zen and the Art of Computer Maintenance. The Top 3 Things To Do For Your Computer In The Fall! The computer needs a little love to keep the evil out! If you're like most people you don't DO anything for your computer. It runs. You use it. End of story. But, let's be honest -- you know it needs a little maintenance, yes? Things you can do maybe once a year? Things that will prolong its life, keep it running, and even running well? You would be willing to do those things, hmmm? So here are 3 easy things you can do, and this is a good time of year to do them. Now. First, clean out the dust. Take off the side panel (figure it out -- I know you can) with the computer unplugged and disconnected, and take a look inside. Again, if you're like most people, you've NEVER done this. So, it's likely you are going to see, instead of a pristine clean interior, dust bunnies and layer of dust and maybe fur and hair from your pets as well. This is not a good thing. It cuts down on airflow, gums up mechanical parts, could possibly cause an electrical short, and even cause the power supply to overheat and fail. Blow it out (outside -- you know why) with a hairdryer on cold, or a vacuum cleaner with the flow reversed. Really get into all of the nooks and crannies and blow out the power supply and the DVD or Blu-Ray drive, and especially blow clean all of the fans and heat sinks as well as the card and memory slots. See my previous post, Top Ten Computer Problems Out There In The Jungle, problem #3 on Dirty Computers for more info. Second, check your Anti Virus or Internet Security Subscription. Make sure you have AV or Security Software installed, of course! But beyond that, most software, free, or for-pay, requires that you renew your license annually. It may cost nothing to do it, but they want to keep track of who is using their software and make sure you are using up-to-date software, so the companies that make the AV and Security Software make you renew. If you do not, you will not be getting the virus and program updates and may very well leave your machine exposed to infection. There is plenty of good, free AV software out there, so don't let cost keep you from being protected. See my article on Microsoft's own, free AV and Security Software, Microsoft Security Essentials. 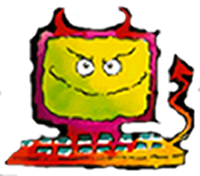 The thing I like best about MSE is that it truly is a set-it and forget-it program -- it doesn't bug you or talk to you. It just works quietly in the background and leaves you alone. Check the other free AV programs available, too, if you like. See my article on 3 Free and Good Programs, maybe a little noisier and they do solicit you to upgrade to their commercial counterparts, but still, very good in and of themselves. Do also make sure that Windows Firewall is turned on, or that your Security Software includes one and IT is turned on. Windows Firewall is accessible from the Control Panel. Third, and last, make sure your computer is receiving and installing Microsoft's Updates for your OS, be it XP, Vista, or Windows 7. We see too many machines that have updates turned off, or where updates have not been given permission to install, and left their owners with big security issues unresolved as well as reliability and functional problems. It's easy: run Windows Update from the main menu and make sure it says there are No Important Updates Available, or ...run Windows Update!. Check to see that updates are set to either install automatically, or ask you to let them be installed, by looking at the left hand side of the Windows Update Window where it says "Change Settings", click on that, and make sure that updates are set to be donwloaded and and installed, either with permission or automatically. There are other things you can do to maintain your machines, such as defragging the filesystem on a regular basis automatically, cleaning out old or duplicate files, and a bunch of other stuff, but these 3 things are the absolute minimum that needs to be dealt with annually. Oddly enough, too, they often do not get done. Do them and get the Evil Out! New Computers Worth Having, OR, How Long Will My Computer Last? 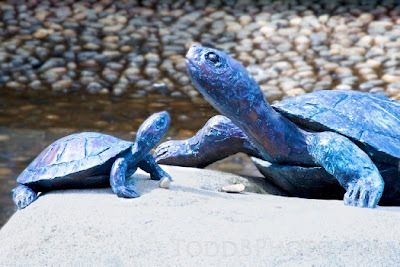 Slow Computers Giving You The Blues -- Don't Be A Blue Turtle! The Fall is a good time to talk about buying a new computer -- a lot of people consider doing so then -- the holidays are coming up, people are inside more, and statistics show it's one of the most popular times to do so. Well, why do you want a new one? For most people it's because the old one isn't doing the job anymore. It's too slow, isn't reliable, or, well, it's dead. How should you choose a new one? There are a lot of ways to choose a new personal computer. Using common sense is one -- choose a middle of the pack machine from a first tier maker -- don't go overboard -- watch your pennies -- that kind of thing. Another way, is to get what you WANT, price be damned. Yet another way is to figure out what you NEED. Within reason of course. But what do you really need? Many people want a machine that provides a decent user experience doing common tasks for as long as possible -- they intend to own it and use it until it no longer provides that good experience, or, it dies. It used to be the case, that you chose a computer based on what you used it for, and to some extent, that's still true. A word processing and accounting system doesn't have to be very powerful to be useful and seem speedy. But now that's now longer true. Now you have to choose a machine, or at least most of us do, based on how it deals with the internet, how fast surfs the web, loads pages, and processes network information. But most new machines will do that out of the box, you say. So, how does that help? Well, OK. But. Ask one more question. How long will my new machine last? The truth is, hardware failure aside, it will last only as long as it is powerful enough to deal with current software and the internet. Older machines get retired because they do not have the horsepower or memory to provide a satisfactory experience online. Try surfing the web with a 7 year old single core Pentium 4 and 512 MB of RAM. It ain't pretty. So in a very real sense, the more powerful your machine, the longer it will last. There are diminishing returns however. And, for most people, they set in around the $1000 price point. Will a $2000 machine last 2X as long a $1000 machine -- not necessarily. And maybe, depending on what CPU and Memory are chosen, that $2000 machine may last no longer at all. 2 new Desktop Computers that I like, and that I think will provide a long and happy experience to their lucky new owners are based on the new AMD 6 core processors, which have the advantage of working like 6 little computers for you, at a price no higher than that of many of Intel's 2 core processors. Intel does have some higher performing CPUs, but you will pay dearly for them, and they fall squarely into those diminished returns I was talking about. These 2 machines are the Dell XPS 7100 and the Hewlett-Packard HPE-460z, both of which can be had for well under $1000, nicely equipped, and both of which should last you a good long time. They come with 2 years of onsite service, 1 TB hard drives, 8 GB memory 10/100/1000 GB networking, a fairly high end video card, and external eSata for easily expandable disk storage and backup. Monitors are extra, and both Dell and HP offer nice ones, but my favorite is the Asus VW266H which can be had from Amazon, delivered, no tax, for under $290. It's a gorgeous 25.5" diagonal screen with 1920 X 1200 resolution, and because of the large screen size, even with that high resolution, the fonts are plenty big enough for most of us to read them easily. Both Dell and HP computers can be upgraded to whopping amounts of RAM (16 GB) if you like, more and bigger hard disks, wireless N, faster video, and so on, but the base versions are plenty fast. They should get you to 2015 at least, and that's saying a lot especially considering that the pace at which the load the internet and software place on our computers seems to be increasing. So Go Forth and be Fast, be Powerful, and ... be Cheap. Computer Relationships ... No -- It's Not What You Are Thinking! Is this your computer? Useful, huh? Not talking about Online Dating, or anything like that! I mean, what kind of relationship do you have with your computer? Is it an invisible toaster oven, there to be used and abused, thrown away and replaced as needed? Do you pay actual attention to it when it bursts into flames 'cause you didn't clean out the drip tray? THAT's the toaster oven I'm talkin' about. But still, is that what it would take to make you to pay attention to your computer? For a lot of people, that's the way it is. And that's the relationship they want to have with their machine(s). It comes back to bite you! Yeah, I know, computers are just supposed to work and leave you alone, but really, what mechanical device does that ALL of the time? And unless you are just surfing the web, and you have perfect backup and duplication systems and procedures in place, and unless you don't mind buying a new computer just because you wouldn't listen to that grinding noise from the fan, which usually just went away after a while (while your CPU fries), maybe it would be a good idea to pay a LITTLE bit of attention to it. Think of it as cleaning the grease out of that toaster oven drip tray before you have to get out the fire extinguisher, you lazy b ... , I mean, well ... you know what I mean. Pay Attention To The Computer! That's my intro into The 3 Things You Should Be Paying Attention to With Your Computer as you use it on a day to day basis. Some of the stuff I'm going to say sounds pretty silly, but you would be surprised what people will not pay attention to just because the haven't learned that lesson or the symptom comes on gradually. Do you listen to your computer? Most computers are very quiet these days. Most people will pay attention to a suddenly noisy computer, but a machine that gradually gets louder, perhaps due to a fan problem or drive issue is trying to tell you it's sick. It's not something you want to to ignore. Replace the fan or the drive or get somebody to check it out -- don't just tell yourself that noise is just a minor problem and, hey, the computer still works fine. Computers often work fine until they don't work at all. Do you pay attention to your computer's performance? This hits pretty close to home for most people. Who hasn't complained about waiting for the machine to finish something, or bring up a program? Beyond that, though, you know what is normal for your computer. Sudden extended latency, the computer's lack of response and seeming to freeze repeatedly for periods of time and then resuming normally (!) is not normal behavior. Nor is taking excessively long to boot, by comparison with previous behavior, or longer to do anything, for that matter. Did you just load a new application or utility? Did you mess around with system settings? If your computer is doing this stuff, fix it, or get it fixed; it will not get better by itself; it may get worse, and it could be a SIGN of something BAD. Do you take seriously new computer behaviors? By that, I mean, beyond noise, and slowness, and beyond the obvious like Pop Up Windows demanding money to ransom your computers from Russian Hackers, stuff like a browser, say Internet Explorer, repeatedly unable to connect to the internet, perhaps a different program responding to an attempt to load Excel or Picasa, or even Error Messages, Pop Up Windows, and the like. Sometimes these are just innocuous and harmless, and sometimes not, especially when they are combined with other behaviors. Check them out or have it done. 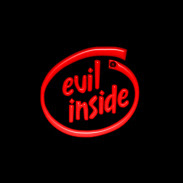 Your computer is not Evil! Misunderstood, maybe. You can even go a step further, if you like, and have your computer HELP you pay attention to itself! 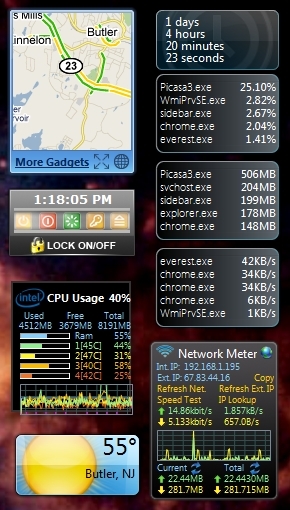 See my previous article, Is My Computer OK?, in 3 parts, which shows you how to put a few freely available monitoring instruments up on your Screen to tell you what kind of a day it's having! Hey! You Gotta Fix This! This is the final part, Part 3, of a look at ways to Monitor Your Computer, What It's doing, and See If It's OK, as a part of the Is My Computer OK? series. We have been looking at Windows Gadgets for Vista and Win7, that are freely available for download, and cost no money. They are easily installed and stay on your Desktop wherever you want them just as if you had instruments from your car transplanted to the screen. The first 2 we talked about together can tell you what the temperature of your CPU is, how hard it's working, how hot it is, and what programs are using the most CPU cycles and making it hot and how to deal with them. Exhale. 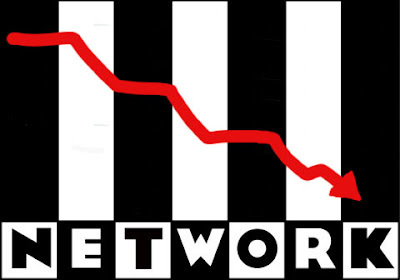 We are going to look a little more at some of that here, but we are also going to look at the Network Meter Gadget which will tell you not only if you are connected to the internet, but also if your internal network, on your side of the router, is working. You can see what the speed of data transmission is FROM your computer out to the net, and TO your computer, in from the net, and a few more things as well, including a visual record of recent network activity. Well, if you cannot connect to the internet or your favorite websites, you'll want to know why, and how to fix the problem. The Network Meter Gadget helps you narrow down the choices for the culprit. Go ahead and install it from the link above while we're talking about this so you can watch what it does while we go over its features. OK, let's say you have a connection problem. You can't get to MoonOverMiami.com, your favorite insult and flash, umm ... romantic holiday getaway site (it's really a memorabilia site). How come? You look at the Network Meter Gadget and immediately notice, clever person that you are, that while your internal IP address is displayed and just fine, that you have NO EXTERNAL IP address. You hit Refresh External IP on the Gadget, a nice feature in itself, but no joy. What now? Well, your router is probably OK, after all, it's maintaining the internal address. So you go look at the Cable Modem or whatever device you have handling your broadband Wide Area Network. DSL, maybe, or satellite. So, you reboot (unplug to power off) both your modem and your router to initialize the network and the handshake between them, and see if that fixes the problem. If a), move on to something else. If b), you may have an issue with your ISP, and it's time to call them up and tell them what the problem is and what you did to rectify the situation and let them deal with it. If you have a dead modem, get them to bring you a new one (or go get one). If your link lights won't sync per 2) you may have a line problem, and if everything looks OK per 3) your ISP may have a software issue or configuration issue. In any case, you are likely on your way to resolution. Thank the Network Meter Gadget, which first pointed you in the right direction. You may even notice an issue with your network, just by having the Gadget up, that you haven't seen a symptom for yet! Do please be aware that these Gadget's bells-and-whistles features, beyond those described here, sometimes expose you to solicitations you may consider spam, and remember that the authors of these useful tools are making them available AT NO CHARGE, so just ignore the spam if you like, or don't even go there. The basic function of the Gadgets will be SPAM FREE. How Do You Shut Down Your Computer??? Next to last, but not least, the System Controls Gadget, from Home Cooked Gadgets, is useful on those special occasions, such as when your system is acting weird -- the Start button on the Taskbar won't respond to the mouse, CTL/ALT /DEL won't bring up the Task Manager -- and you need to reboot the computer gracefully -- but how??? You put the System Controls Gadget up on your Desktop, and most of the time, not necessarily all, you'll be able to hit the Shutdown or Restart buttons on the Gadget and restart the machine. Mouse over the buttons and they'll tell you what they do, in case you've forgotten which little symbols do what. 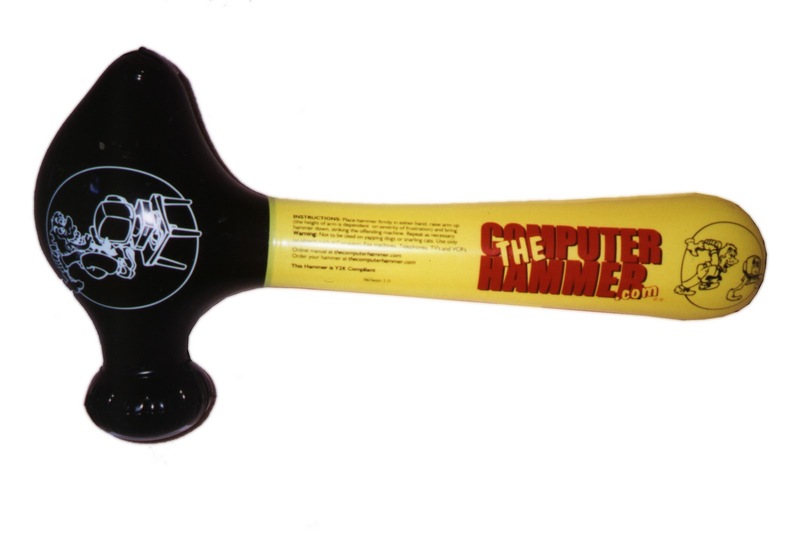 Your computer will be in a NO Hammer Zone. Cool, huh? What's that you say? Your computer never misbehaves??? Well, then, this Gadget's not for you! So now you have 3 useful Gadgets for your Sidebar and your Desktop, Gadgets that can give you some insight in to what's going on with your machine and, hopefully take action on the basis of the information provided, whether it's to investigate a program or virus, get a fan replaced, fix the network problem or shut down a balky machine. Here is one last gift, and one that is fun and useful, but not about the computer, but rather about driving your car. 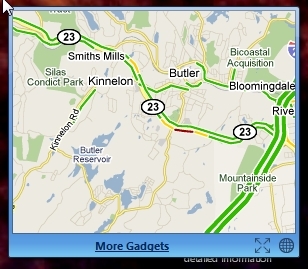 It's a Real Time Traffic Info Gadget, and it will show you a small but expandable map of the locale of your choice, your local towns and roads with a Google Real Time Traffic overlay. Check it out. Before I go out the door, I check to see if my local roads have a problem -- and this Gadget has kept me from wasting a lot of time! It's right there on the Desktop -- I only have to glance at it to see what's going on! So we can see the CPU activity, the temperature of the CPU, the programs using the CPU most, the memory hogs, the programs using the disk most, and a lot of network info. We also have the option of shutting down or restarting the system from the DeskTop. And just for fun, I put up the Traffic Gadget, a Weather Gadget, and an Uptime Gadget. Of course we have just scratched the surface of what you can do with this info -- you can start a virus hunt if you think you are infected -- that's fairly involved and beyond the scope of this particular article -- you can see why, and which of, your programs bring your computer to its knees, and lots of other things. Make your own Instrument Cluster with these Gadgets and never be in the dark again as to What Is Going On With Your Computer. And you will always know that Your Computer Is OK! Except of course -- when it's NOT! But maybe that's more than you want to know!!! And, it costs money!